Baltimore, MD | July 27, 2016 Offit Kurman has named three new Principals. Effective immediately, William “Billy” Cannon III, Daniella Casseres, and Jeanna Lam have been elevated from associates to Principal-level attorneys in their respective fields and at their respective office locations. Every year, Offit Kurman’s Management Committee reviews the firm’s associate attorneys to identify and promote individuals who have achieved extraordinary results within their practice groups. Associates who earn the title of Principal demonstrate consistent leadership ability, diligence, and a high quality of service, as well as an unwavering dedication to working with the standards of excellence expected of the firm’s top attorneys. Principals win acclaim from their clients and are respected by fellow attorneys—both internally at the firm and externally among their professional peers. More information about each new Principal attorney can be found below. William P. Cannon III has a background in litigation and focuses his practice on representing landlords and property managers of residential and commercial real estate. 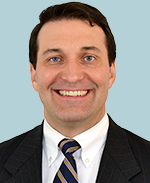 Super Lawyers has recognized him as a Maryland Rising Star in 2012, 2013, and 2014. Mr. Cannon works out of Offit Kurman’s office in Bethesda, MD. Daniella Casseres is an attorney with Offit Kurman’s Financial Institutions Regulatory practice group, where she advises mortgage lenders, mortgage brokers, financial institutions, and consumer finance companies on issues related to compliance, regulatory investigations, and related litigation matters. She is also involved with Offit Kurman’s affiliate company, Strategic Compliance Partners (SCP), and is a frequent speaker at mortgage banking industry events. Ms. Casseres works in Offit Kurman’s office in New York City. Jeanna L. Lam is an attorney with Offit Kurman’s Estates and Trusts practice group. She advises her clients on estate planning, tax and transactional matters, with an emphasis on addressing their unique objectives, preserving their wealth, protecting their assets, and evaluating related legal, financial, and tax issues. Ms. Lam works in Offit Kurman’s Philadelphia, PA office. “We are proud to recognize these up-and-coming attorneys and welcome them to the Principal ranks in achieving this professional milestone," said Offit Kurman Managing Principal Timothy Lynch. To browse our listings and learn all about the diverse group of more than 125 attorneys affiliated with Offit Kurman, visit offitkurman.com/attorneys.